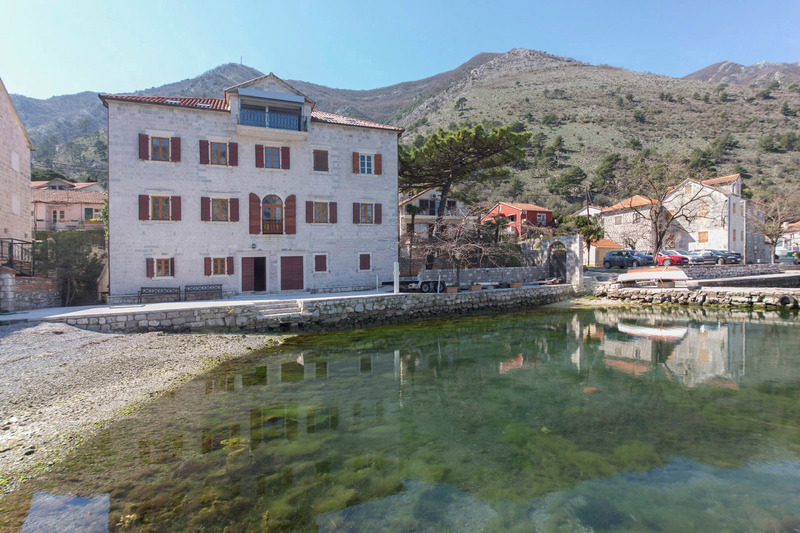 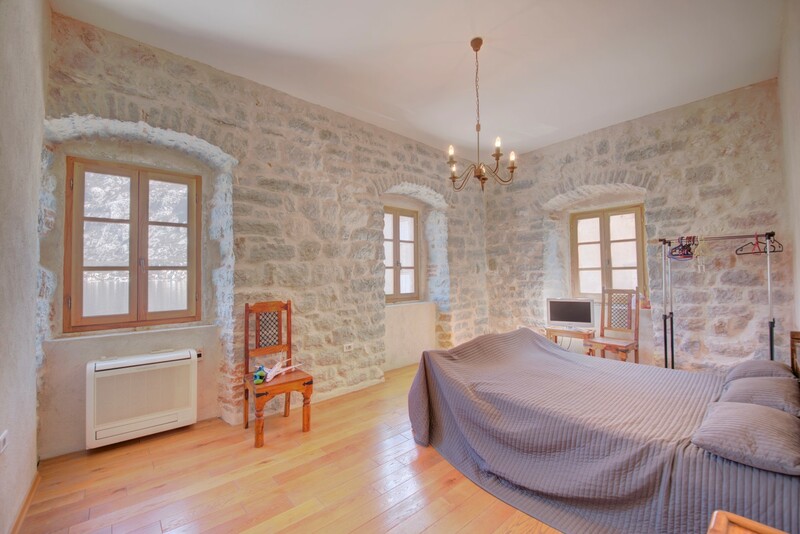 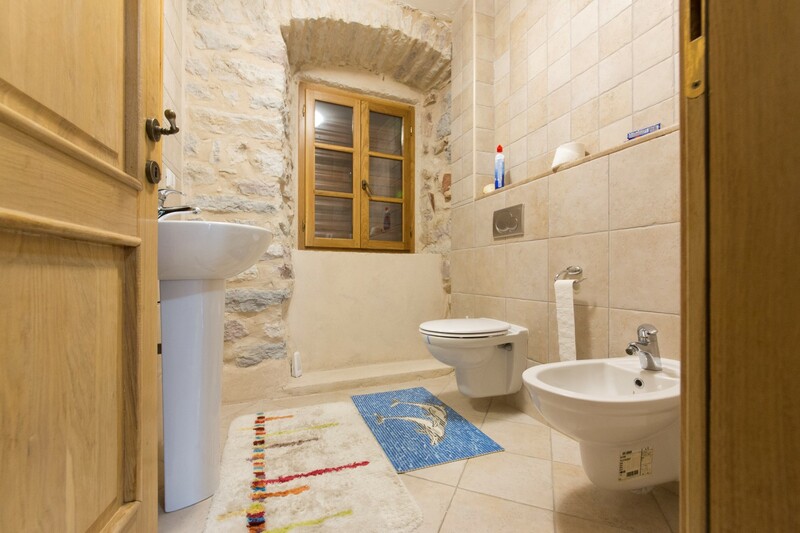 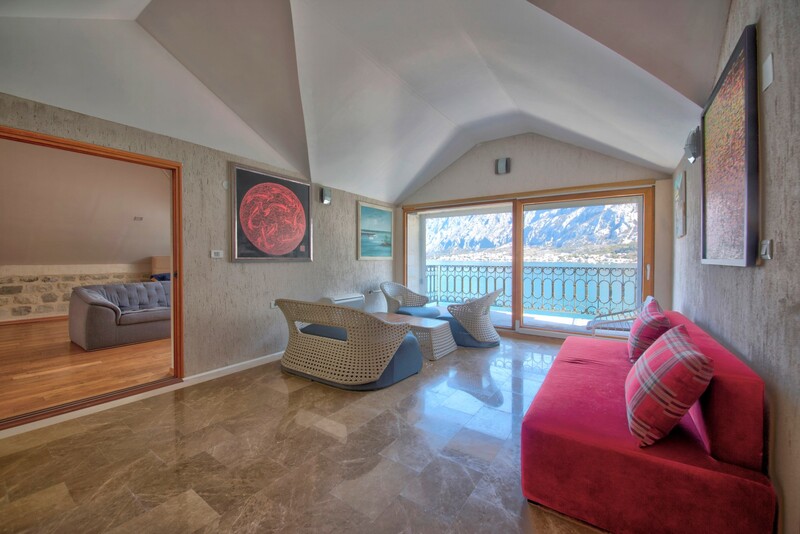 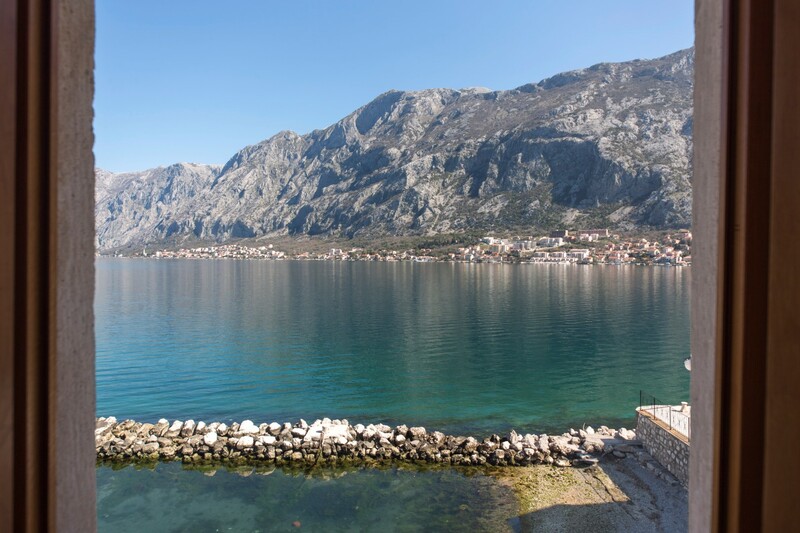 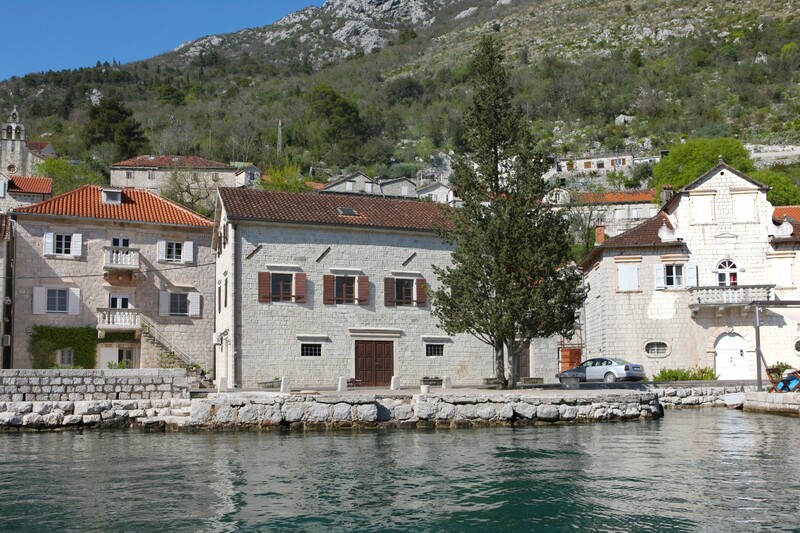 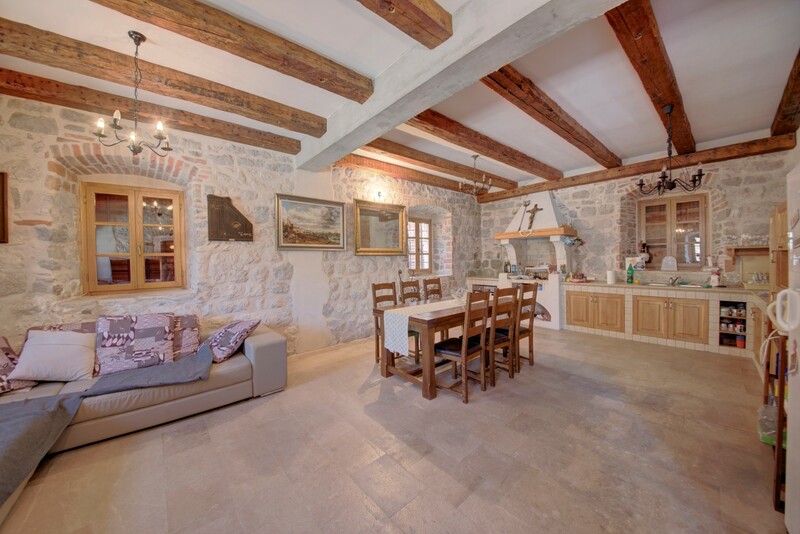 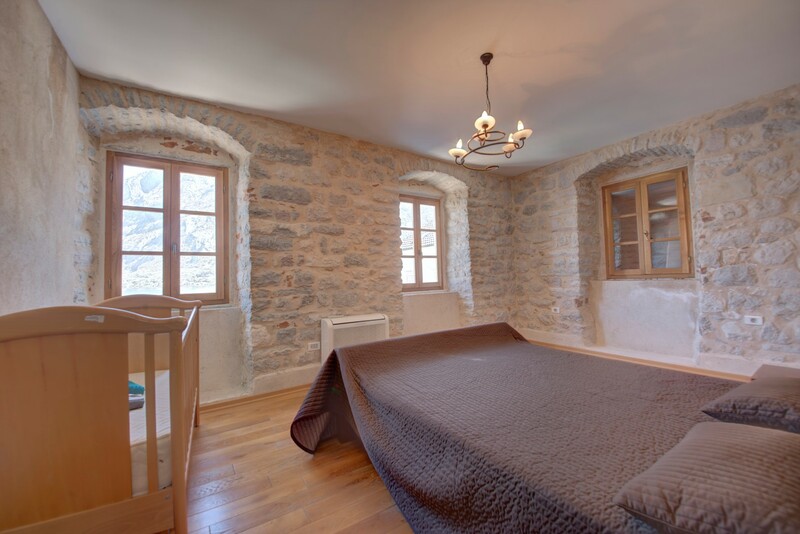 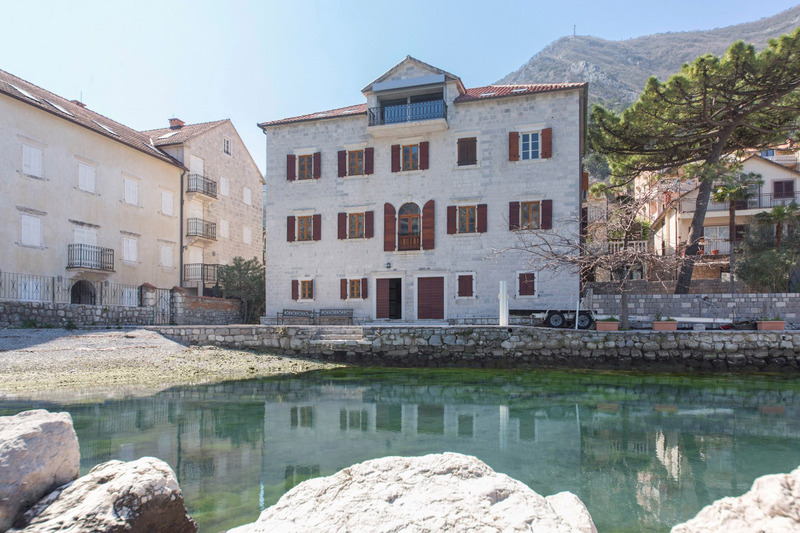 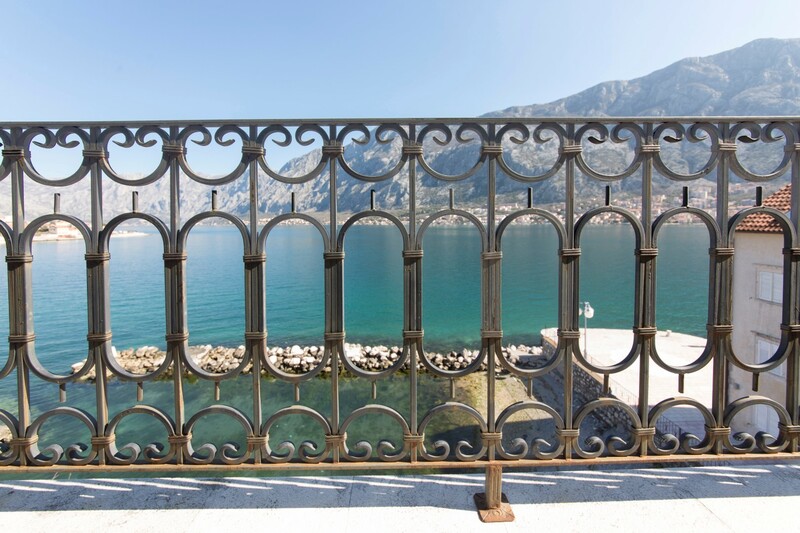 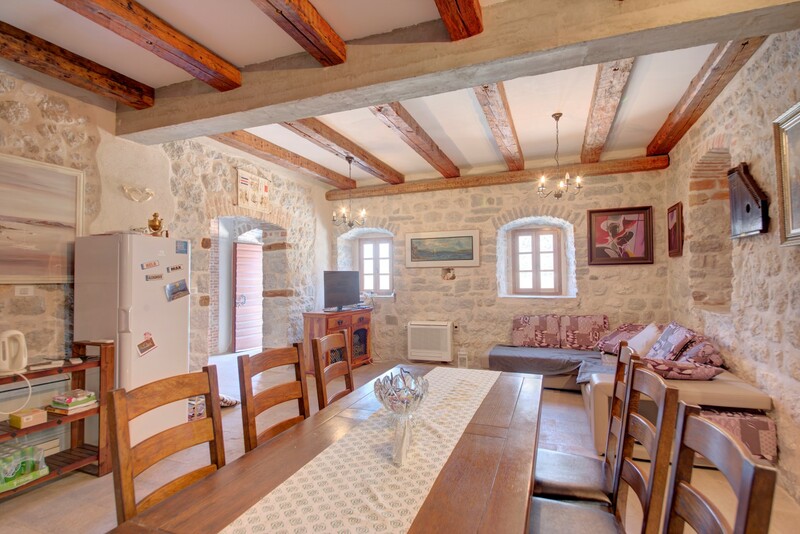 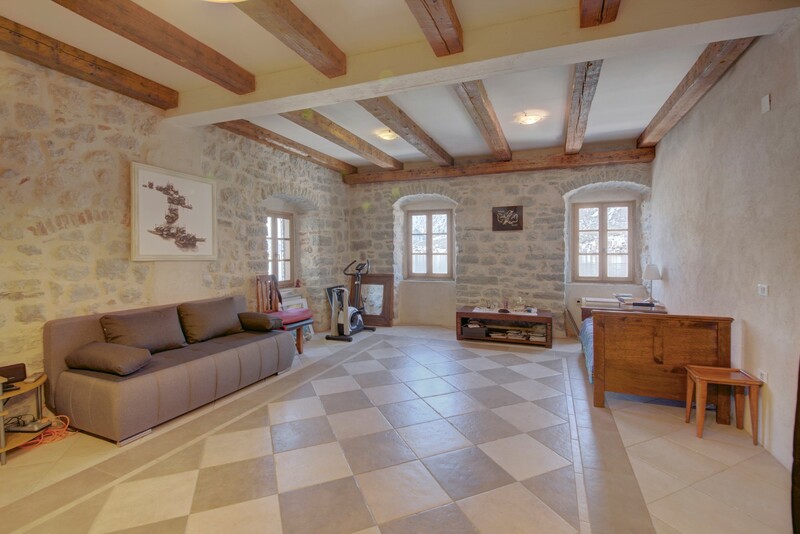 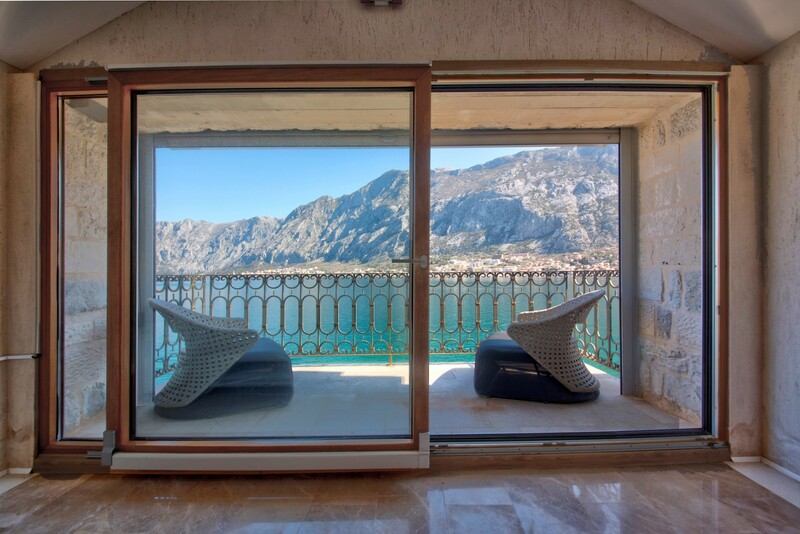 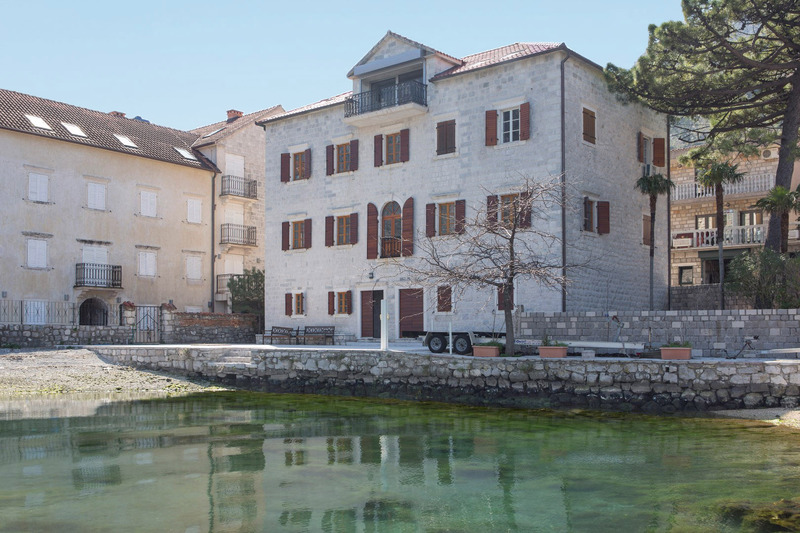 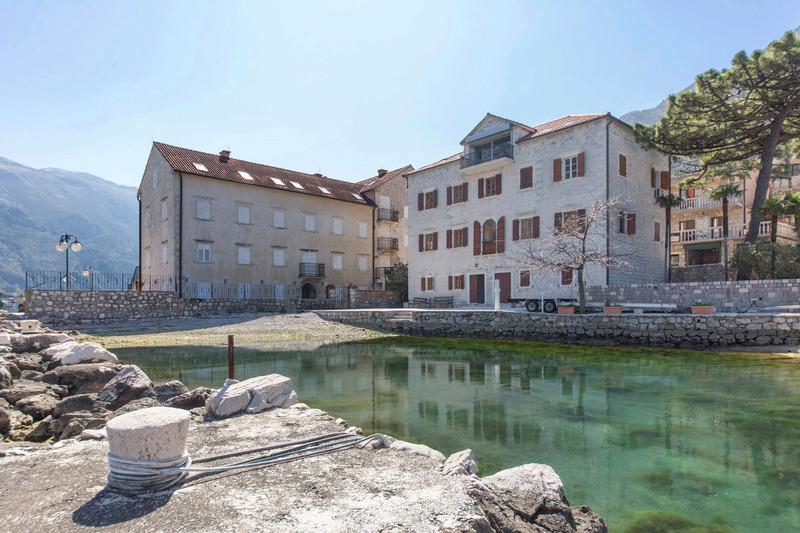 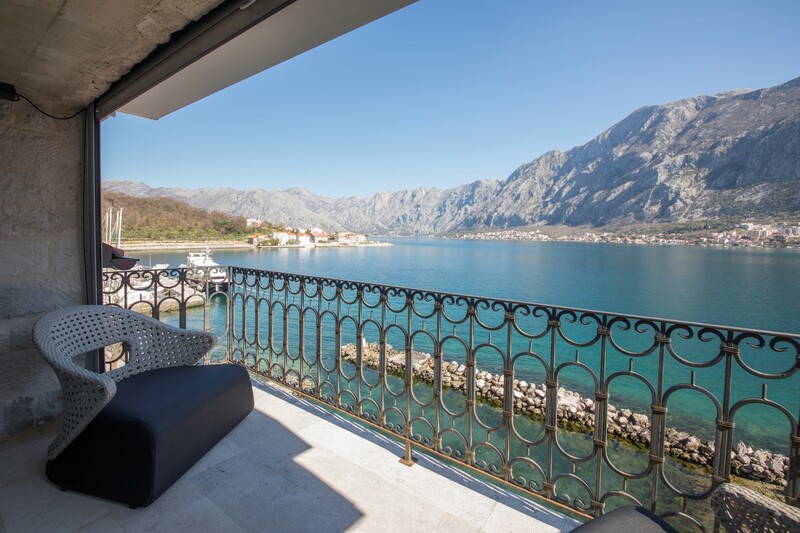 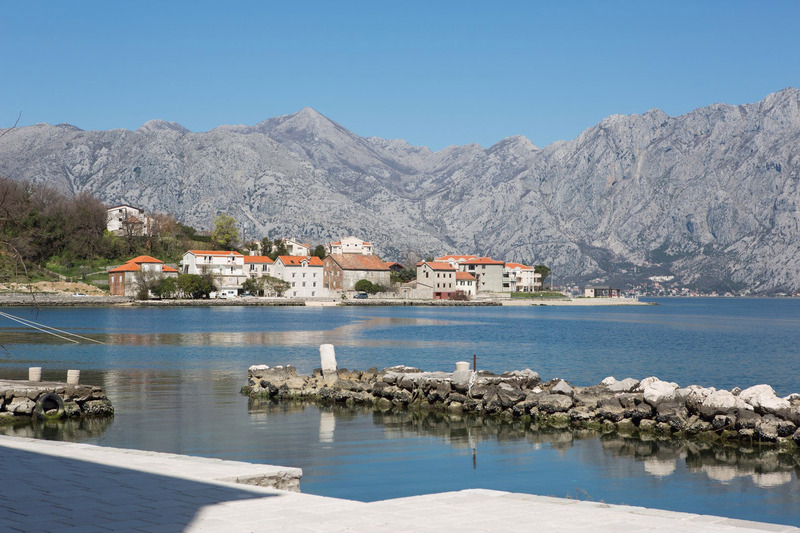 Partially renovated waterfront stone palace, with private beach, near yacht marina in Prcanj. 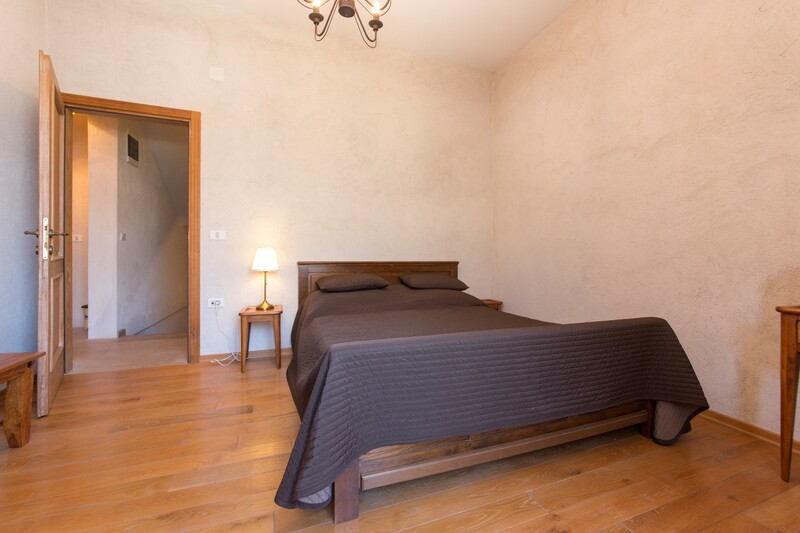 The palace, with gross area measuring ​​494m2 and residential area of 430m2, consists of four spacious floors with a large number of rooms – it contains a total of 8 bedrooms, 3 living rooms, a tavern, five bathrooms, two toilets, two keeping rooms and one wardrobe. 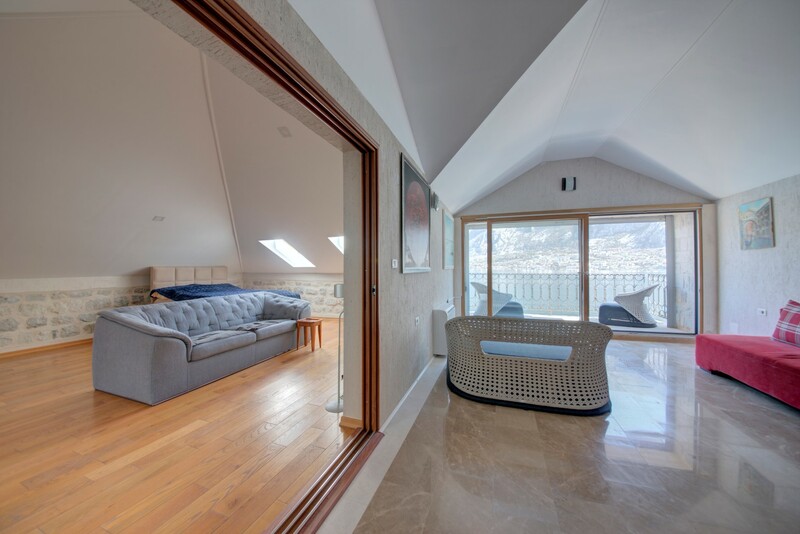 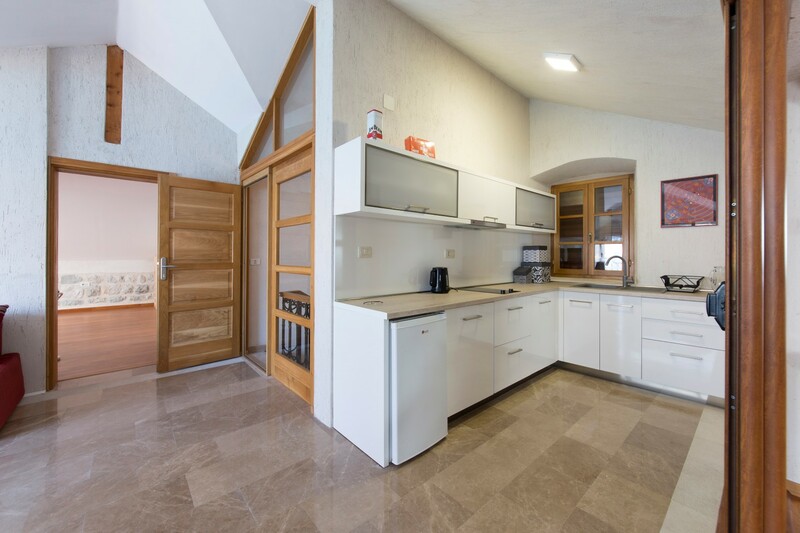 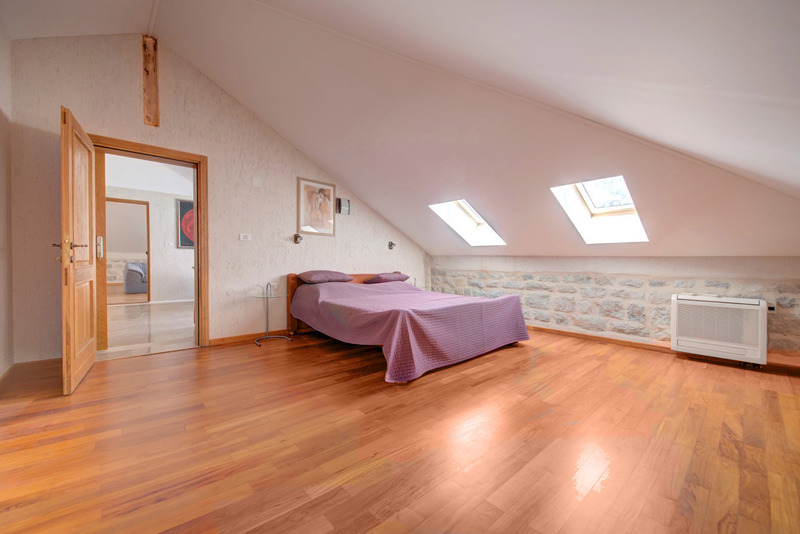 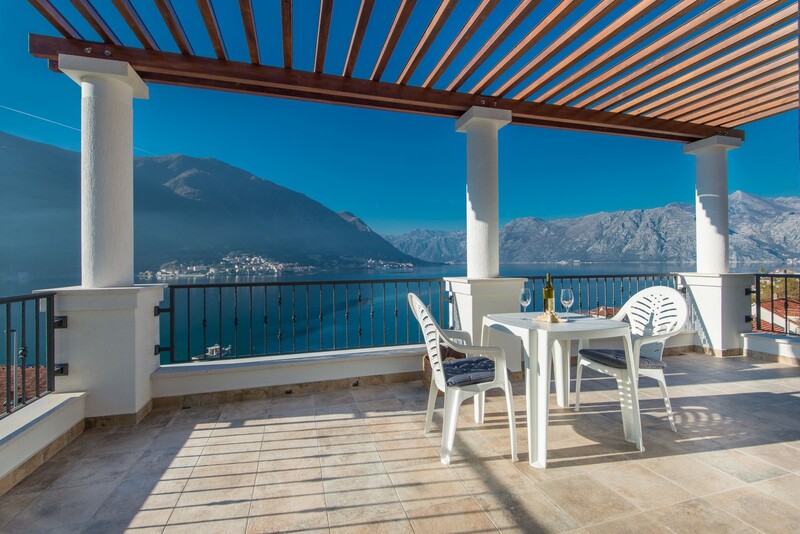 The villa is located in a prime sunny location, one of the most attractive and beautiful in Prcanj, surrounded with several charming arranged beaches. 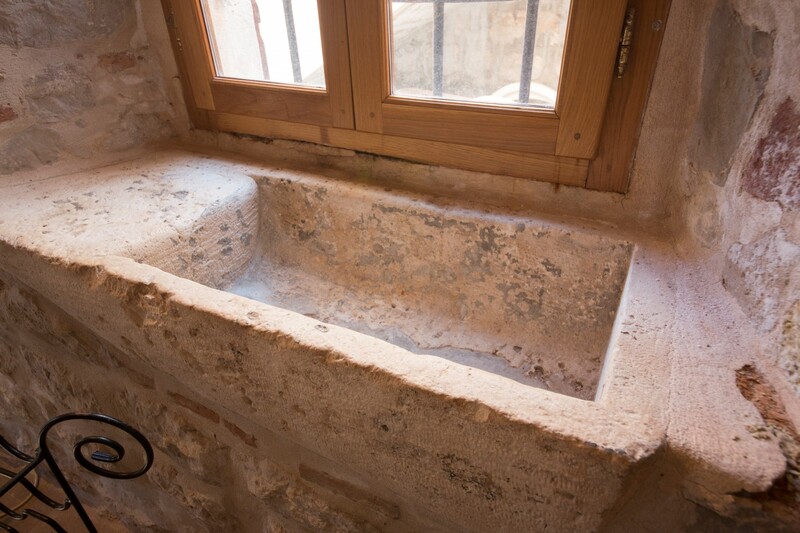 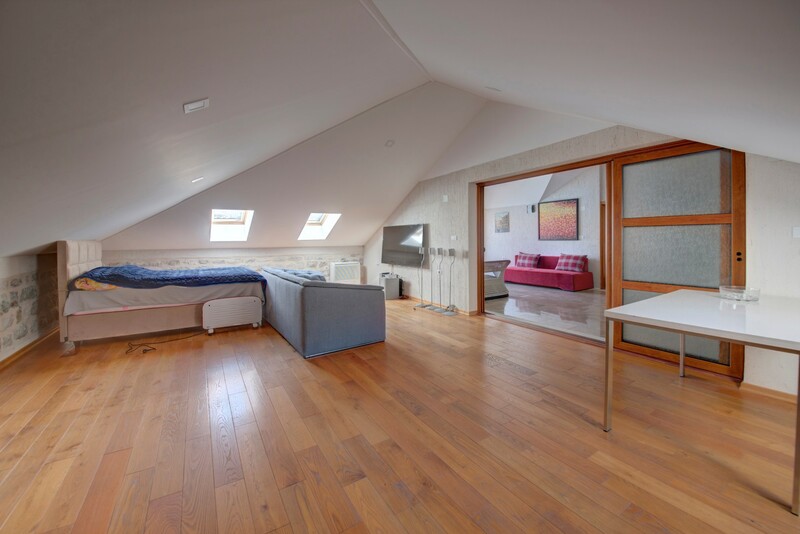 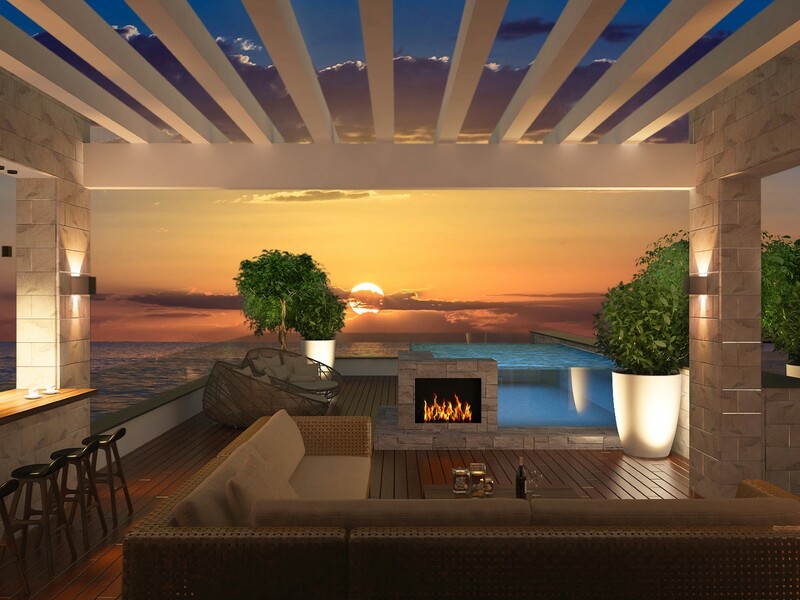 The remaining section of the villa requires additional renovation, with the possibility of forming a lounge, library, gym or the possibility of creating large three bedroom apartments on each floor. 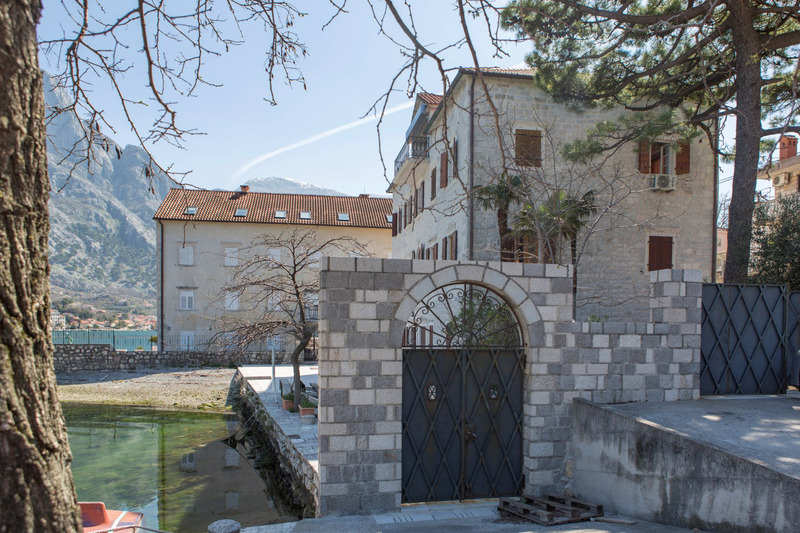 In addition to the private parking space in the yard, there is also a spacious public parking lot for several vehicles, at the access road, in front of the palace main gate.